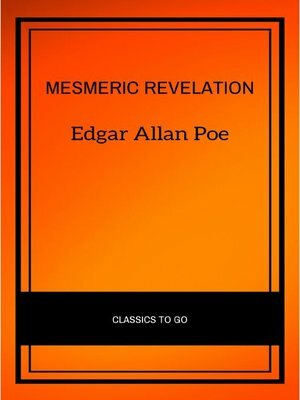 "Mesmeric Revelation" is a Gothic short story by Edgar Allan Poe (1809-1849). First published in 1844, the tale is centered on mesmerist experiments. This edition also contains a long note on Poe's life and work written by French poet Charles Baudelaire (1821-1867) in 1852. The essay was translated in English by Henry Curwen (1845-1892) in 1873.